Active kids are healthier, happier and more successful. They perform better in their classrooms, communities and future careers. That’s why ukactive Kids and Nike have launched Active School Hero, to recognise the achievements of those people working in primary schools across greater London who are helping to get kids active. 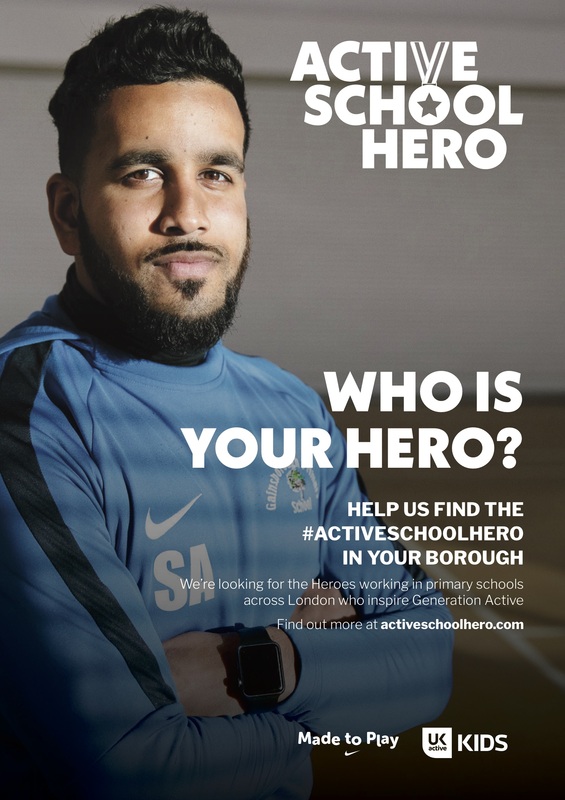 We would really appreciate your help in promoting Active School Hero within your boroughs and across your networks to encourage people to nominate – the initiative will identify ‘heroes’ in every one of London’s boroughs. 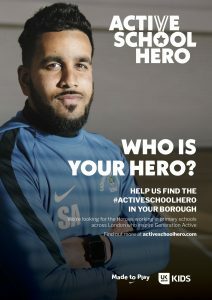 Nominations are free of charge and you may nominate as many Heroes as you would like. 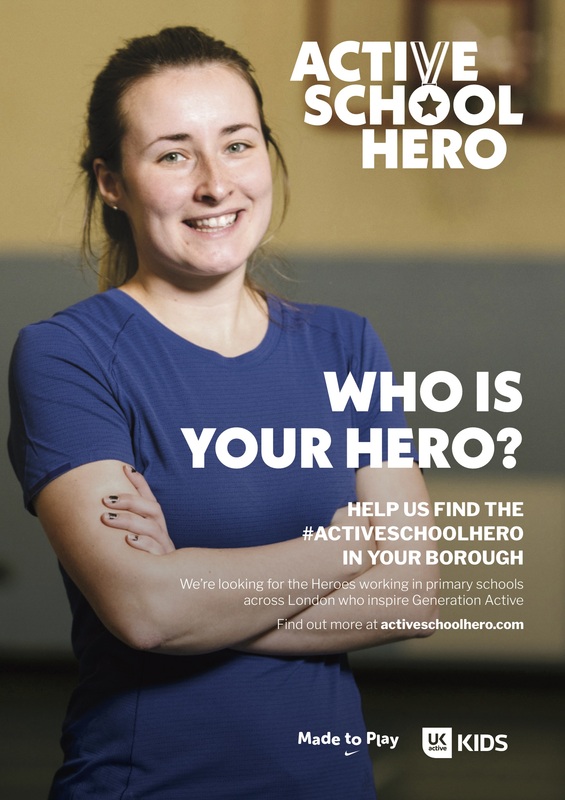 It can be any school staff member in a London primary school who helps kids be active; from the lollypop lady, teaching assistant and librarian to the catering staff, active travel lead or the after school activities manager. The nominations will close on April 8th at 11:59pm.